Currently in preview, the new release features Linux and Kubernetes support. Microsoft has just announced a new version of its Windows Server product as it looks to strengthen its hardware portfoilio even further. Windows Server 2019, which will come with improved support for hyper-converged infrastructure, hybrid workloads and Linux and Kubernetes support. The new release is currently in the preview build, which you can access on this link, andis expected to be generally available in the second half of this year. Besides abovementioned boosts in support, another major highlight is the addition of the Project Honolulu Web-based interface. Details about the new offering, as well as a short FAQ, can be found on this link. The same news post also gives a warning about prices. "It is highly likely we will increase pricing for Windows Server Client Access Licensing (CAL). We will provide more details when available," the company stated. 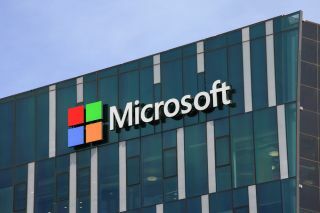 Speaking to The Register, Wes Miller, research VP with analyst firm Directions on Microsoft, said the increase in the price was expected. He believes this could be one of the ways Microsoft will move people more towards Azure. "I think that - for organizations invested in Windows Server - this will just be another increase that most will absorb," Miller told El Reg. "I expect that we may see some messaging from Microsoft emphasizing that moving workloads to Azure is one way to avoid this cost, since there is no concept of a Windows Server base CAL in Azure."